You can set up two-factor authentication using a mobile app instead of using Google or simply an email+password login. NOTE: If you signed up with Google or similar this authentication method will be disabled. 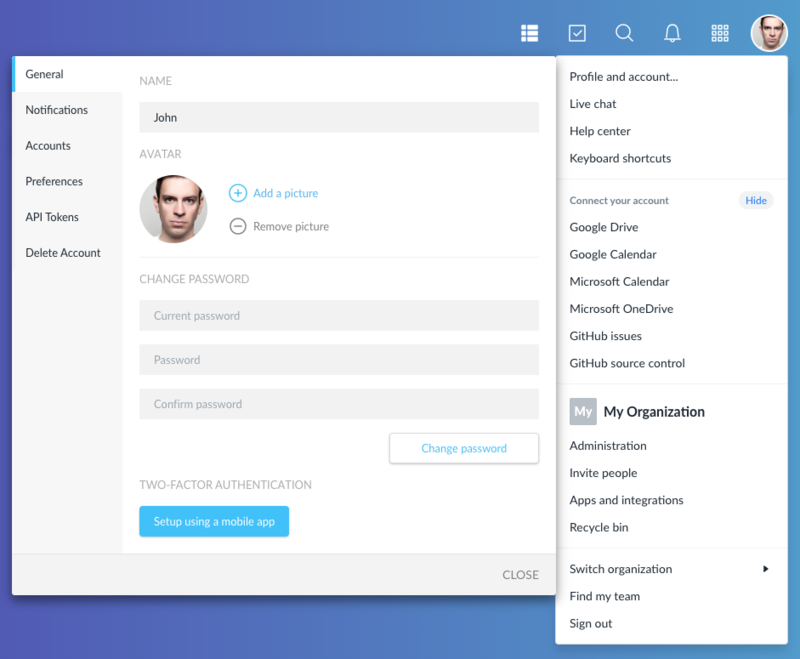 You begin the setup in the Profile and account menu under General. Clicking Setup using a mobile app will generate a key you can add to your authentication app. 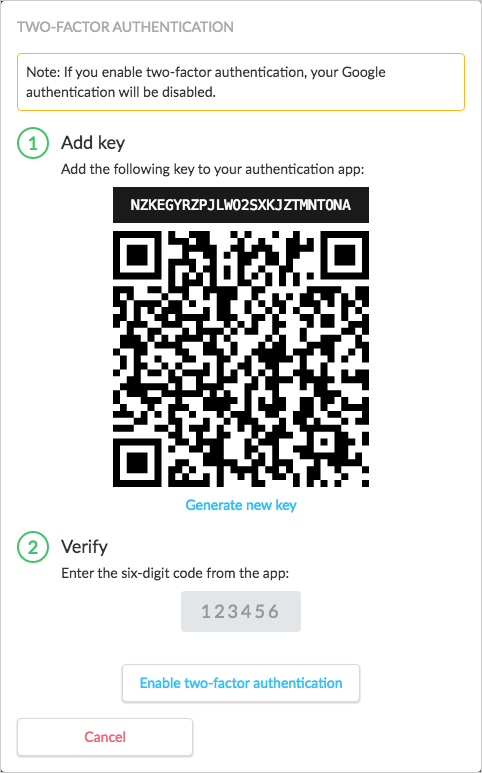 Once you have your response key from the authentication app, enter it in the Verify step and click Enable two-factor authentication. 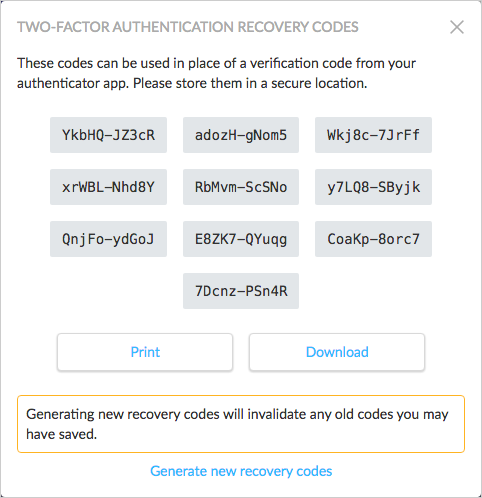 You will notice that the two-factor authentication section changes and instead there is a link to view recovery codes. Please make sure to store a copy of these codes in a secure location.